Bees and beehives have long symbolised industry, regeneration and the wisdom of the ages. 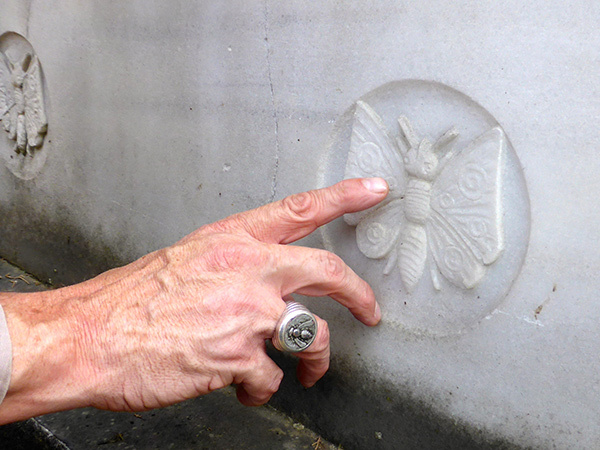 Although I have encountered bee symbolism in cemeteries on many occasions, and understood its relevance, I was intrigued to discover a Sufi-inspired Jewish religious order, whose gravestones in Istanbul, Turkey, include images of butterflies which also resemble bees. An exploration was in order. 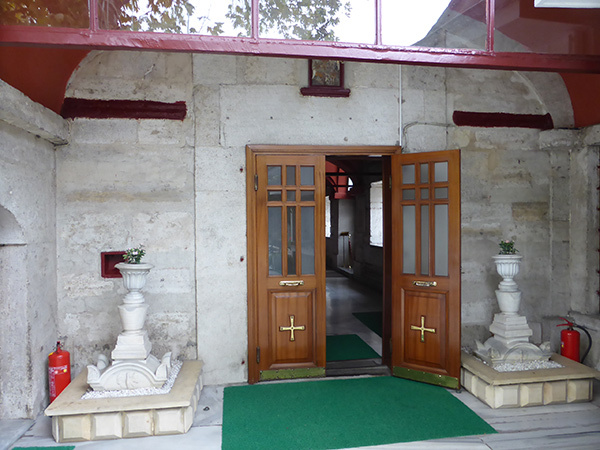 I was only vaguely familiar with Istanbul’s Dönme community, a once-thriving religious sect, which practised a unique blend of Sufi and Jewish mysticism. 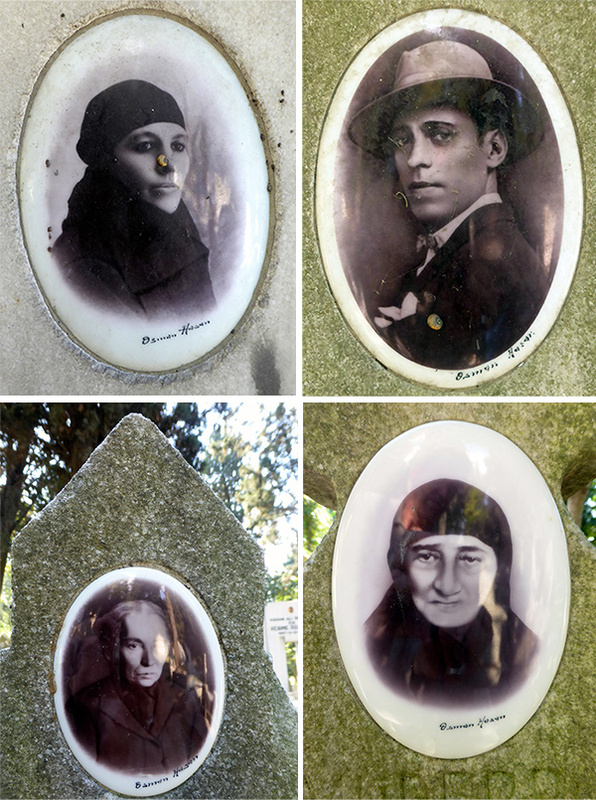 Then a friend informed me of a new book about the Dönme community and the artist, Osman Hasan, whose exquisite (albeit haunting) photographs adorn their Istanbul tombstones (Osman Hasan and the Tombstone Photographs of the Dönmes by Istanbul artist, C. M. Kosemen). I was fascinated and keen to learn more. However, with a price tag of $360 for the book, I opted to conduct my research first hand. 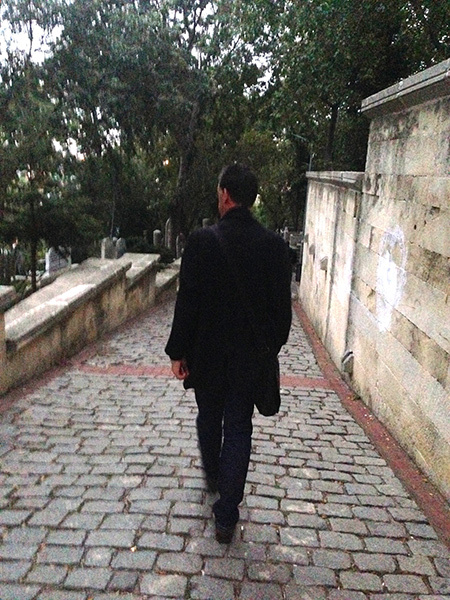 So, off I went with a Turkish friend, searching for Dönme tombs in the forgotten cemeteries of Istanbul’s Asian communities. What I found amazed me. The word Dönme means ‘to convert’ and ultimately that is what many members of the sect did, hence their name. However, in the beginning the faithful practised their unique composite of Sufi/Jewish mysticism in secret, while pretending to be Muslim. 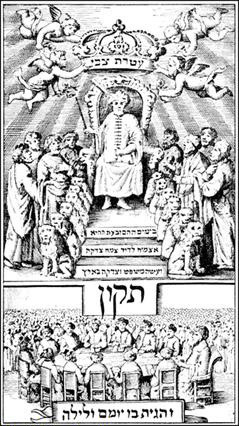 Not surprisingly, the Dönmes were led by an enigmatic and controversial figure named Sabbatai Zevi, a seventeenth-century Jewish Kabbalist, whose aspirations were greater than other holy men of his day; he claimed to be the Messiah. The popular Jewish mystery literature during Zevi’s day was the collection of ancient texts known as the Zohar and, coincidentally, the Zohar was believed to stipulate that 1648 would be the year in which the long-awaited Jewish Messiah would manifest. 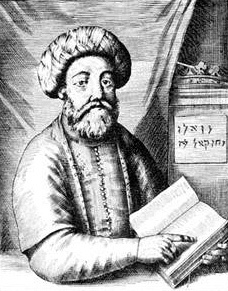 Sure enough, in 1648, at the age of 22, Zevi proclaimed himself the Messianic Redeemer. Adding credence to his audacious claim, Zevi’s name meant ‘Saturn’ – the highest planet – and in Jewish tradition this was associated with the Messiah. For his followers, his ascension appeared not only legitimate, but preordained. With these impressive credentials under his gartel, Zevi travelled far and wide, preaching his unique blend of mysticism to new, potential converts. By most accounts, Zevi started his quest in the Kabbalistic centre of Thessaloniki, before embarking on an extraordinary journey which led him to Alexandria, Athens, Constantinople, Jerusalem and Smyrna, before settling in Cairo. After a couple of years in Cairo he returned to Jerusalem, where he met a Polish prostitute, who had been living with the unwavering expectation of someday marrying ‘the Messiah’. Zevi was captivated by the woman’s conviction, and ultimately fulfilled her obsession. Ironically, in the process of fulfilling her destiny, Zevi further fulfilled his own, for his marriage to a woman of ill repute mirrored the biblical story of the prophet Hosea, who had been commanded to take a ‘wife of whoredom’ as the first symbolic act of his calling. 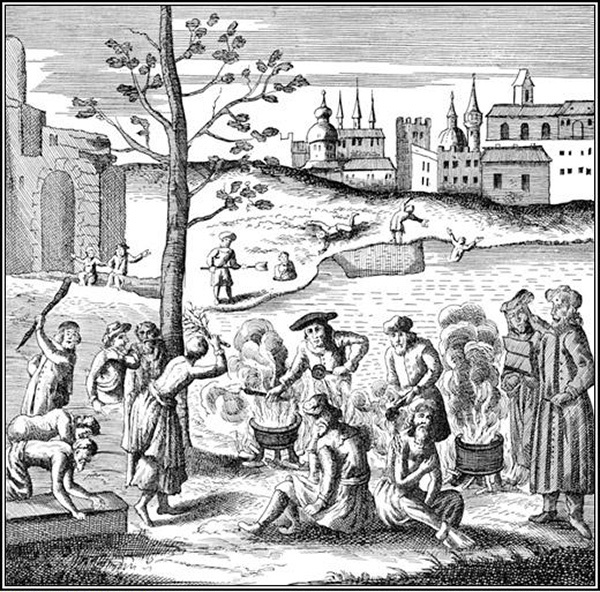 The willingness of the Jewish communities across Europe to believe Zevi’s messianic claims was entirely understandable, as one third of Europe’s Jewish population had been brutally murdered by the political ruler and King of Poland, Bohdan Khmelnytsky, who had also decimated Jewish centres of learning and, in the process, had created a cultural void in the community. Genocide had reared its ugly head once more. The times demanded a messiah, and there was no better nor more worthy candidate than Zevi. Later, Zevi was imprisoned in Abydos, an ancient city in Asia Minor (now north-western Turkey). This followed a confrontation with a competing messiah, who fled in anger to Constantinople and exposed Zevi’s messianic intentions to the Sultan. He, in turn, demanded that Zevi convert to Islam or die. Sadly, you couldn’t make it up. 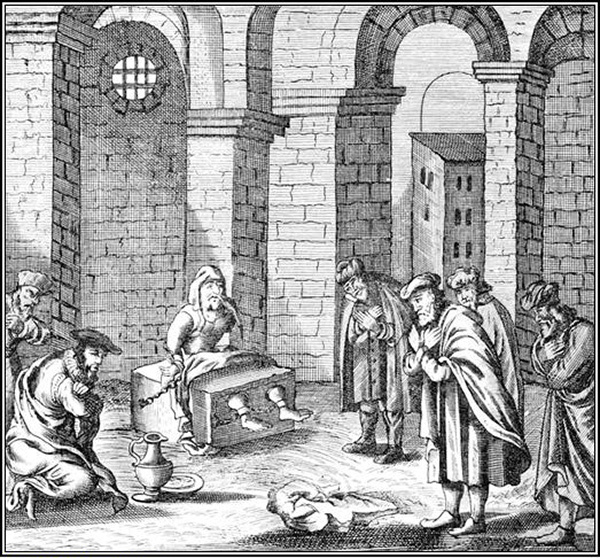 Zevi’s supporters were humiliated by his conversion to Islam and were subsequently ridiculed by Christians and Muslims alike. Nevertheless, most kept the faith, both literally and figuratively, and continued to follow the theological framework that Zevi had introduced, despite his conversion. 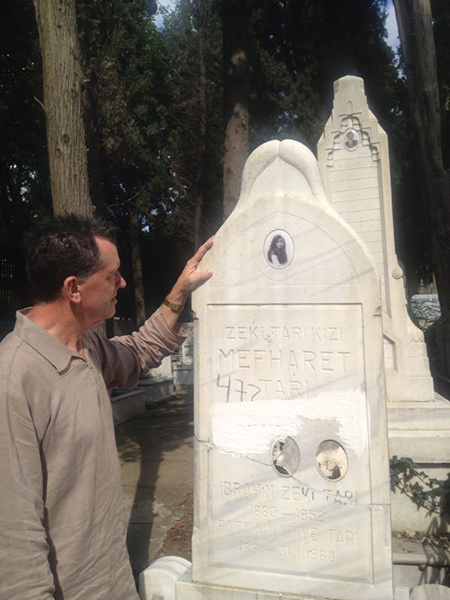 Zevi’s death, like his life, was shrouded in mystery. All we know for certain is that he was exiled to the Albanian port of Ulcinj (in present-day Montenegro) by the Turkish Sultan in 1673, and died there three years later. According to some, his death was attributed to natural causes; however, others claim he was executed by hanging. “I don’t know,” the attendant’s assistant would proclaim. Needless to say, the two men kept a watchful eye on my every move. 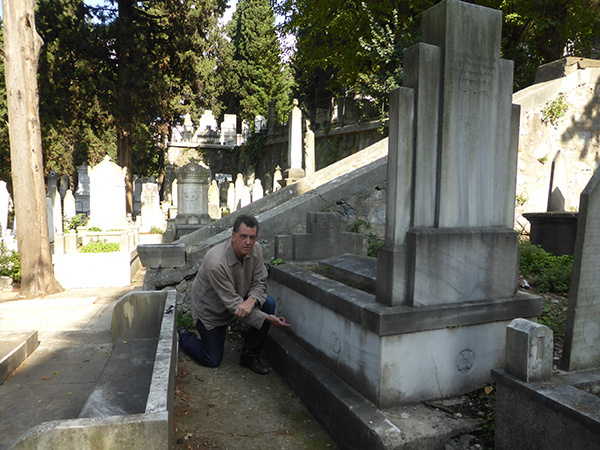 Thankfully, as soon as I began examining the first Dönme tomb, they appeared to grasp the reason for my visit. Suddenly, Osman Hasan’s evocative images were everywhere. It was atmospheric. I was moved, and found myself transfixed by my surroundings. Hauntingly, it felt as though the spirits of the Dönme had been awakened. 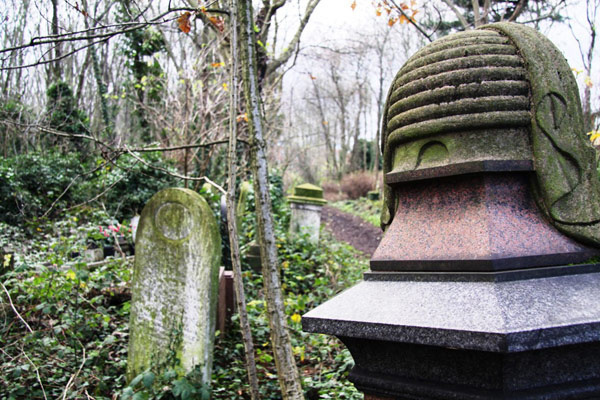 As we ventured deeper into the cemetery I refocused, keeping an eye out for what had brought me here in the first place: the curious butterfly images on the Dönme gravestones. I would not have to wait long to find what I was looking for. Moments earlier I had been surrounded by images of Dönmes – courtesy of Osman Hasan. Now I was now surrounded by images of butterflies, which appeared to include anatomical features of bees. I suggested to my friend that we call the evocative images ‘butterbees’. 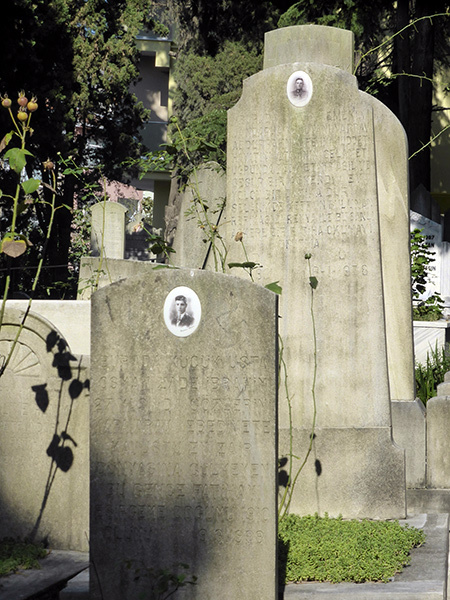 The butterfly images were distinct from those I had stumbled upon before, such as those in the ancient Jewish cemetery in Bratislava, Slovakia (where a leading orthodox rabbi and powerful opponent of the Reform movement in Judaism, Moses Schreiber (1762-1839), is buried). In Bratislava the butterfly images are less bee-like, but slightly peculiar nevertheless. The butterfly, representing metamorphosis, was not an uncommon symbol of the Dönme community and had caught my eye when I first read the review of Kosemen’s book. And yet I had seen similar butterfly/bee-hybrid depictions before, not only in Bratislava, but also in Istanbul, in the Monastery of the Mother of God at the Spring, where the curious images adorn the bases supporting the vase-like ornamental structures that stand on either side of the monastery’s entranceway. 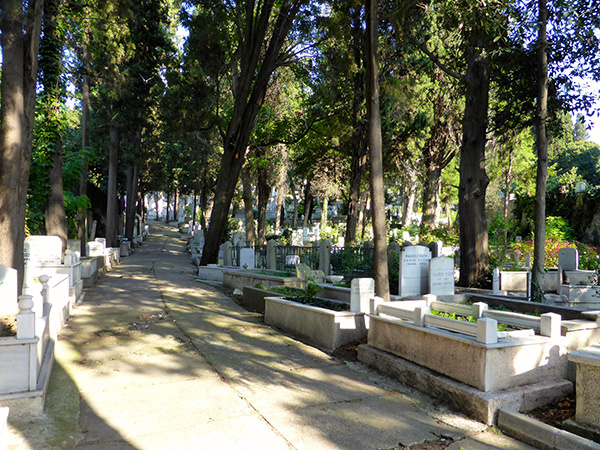 Intriguingly, they are located just beyond a cemetery in front of the church which dates to the nineteenth and twentieth centuries, and which belonged to various Istanbul Rums (religious minorities), which would certainly describe the Dönme community. 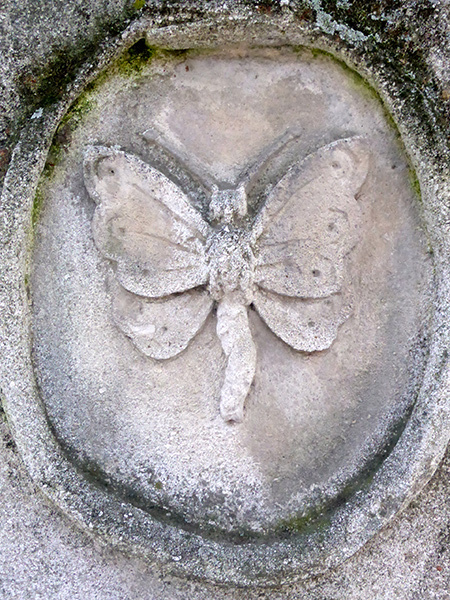 The butterbee images at the Monastery of the Mother of God at the Spring struck me as more butterfly than bee-centric. 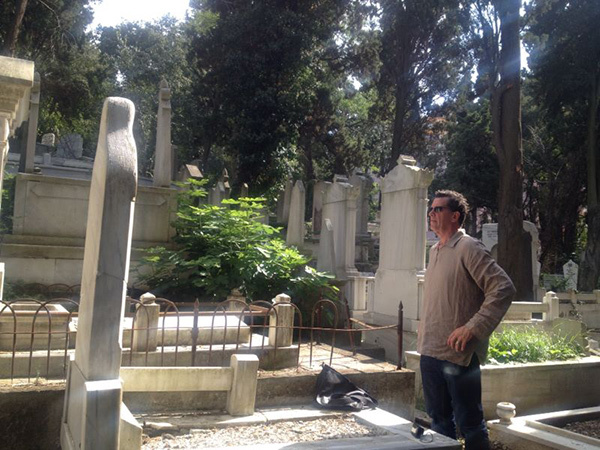 Nonetheless, they shared a quality I had seen in Bülbülderesi cemetery: they appeared to incorporate the abdomen and head of a bee. 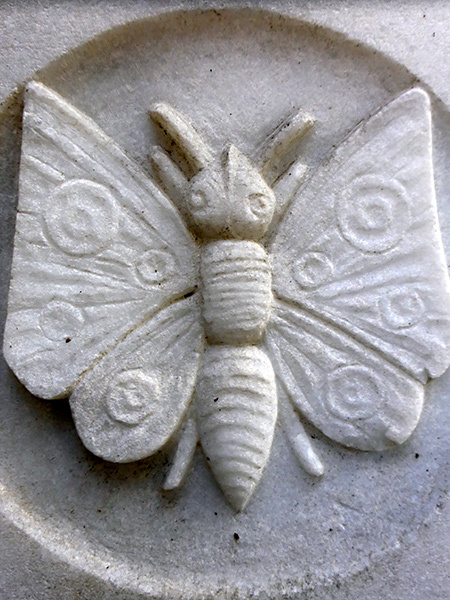 To confirm my suspicion that the tombstone butterfly images might also represent bees, I needed evidence that the Dönme community understood the significance of bee symbolism. To this end I was aware from prior research that the mystical dimension of Islam known as Sufism (which Zevi and his followers incorporated into their theoretical Judaic framework) maintained a secret brotherhood called the Sarmoung, or Sarman, meaning ‘bee’. What’s more, the motto of the Sarmoung was “Work produces a sweet essence”, which sounds an awful lot like a reference to honey, especially when one recalls that members of the organisation viewed their role as collecting the precious ‘honey’ of wisdom and preserving it for future generations. The word can be interpreted in three ways. It is the word for bee, which has always been a symbol of those who collect the precious ‘honey’ of traditional wisdom and preserve it for further generations. A collection of legends, well known in Armenian and Syrian circles with the title of The Bees, was revised by Mar Salamon, a Nestorian Archimandrite in the thirteenth century. 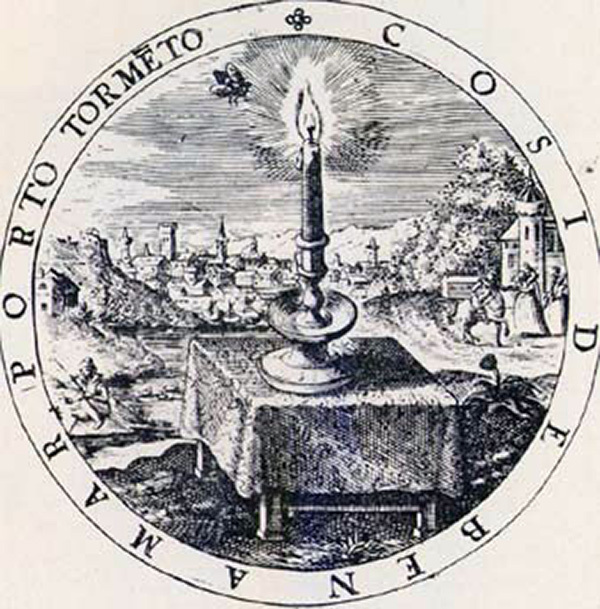 The Bees refers to a mysterious power transmitted from the time of Zoroaster and made manifest in the time of Christ. This definition is fascinating and, of course, Zoroaster was the founder of Zoroastrianism. Curiously, in Russia, the protector God of beekeeping is named Zosim, and is believed to be the founder of apiculture. Zosim is also the term given to the belief that the phenomenon of life is due to a vital principle known as the theory of élan vital – not unlike the ancient mystery power known as The Bees. Was this simply a linguistic coincidence? Or was it reflective of a broader and more ancient tradition? The more I explored the possibility that the Dömne had merged butterfly and bee symbolism, the more interesting tidbits I uncovered. Once again I was directed to the author J. G. Bennett, who chronicles in his book, The Masters of Wisdom, that the Sarmoung left Babylon before the arrival of Alexander the Great (356-323 BCE). What makes this of interest is that the ancient city of Harran (which is mentioned in the Old Testament, has strong ties to the Biblical patriarch, Abraham, and is situated in Turkey, not far from the Syrian border) features remarkable beehive huts over 300 years old. 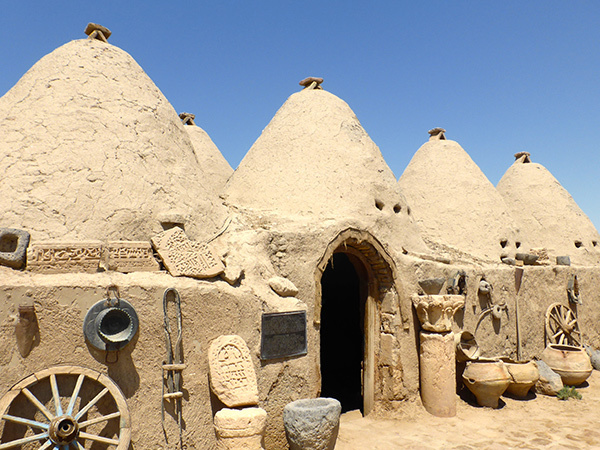 I had the pleasure of visiting Harran in the summer of 2014 and learned from my guide, a Mesopotamian-history expert, that the tradition of building beehive huts, such as those in Harran, comes from ancient Babylon. Might a Sarmoung community have settled in Harran? On the surface there appears to be encouraging evidence to suggest that the bee was venerated by the ancient mystery schools which inspired Zevi. Curiously, and perhaps coincidentally (but interesting nevertheless), the Jewish Museum in Istanbul contains a textile with a design of multiple bee images, dating from the time of the Dömne’s final assimilation into Istanbul society in around 1925. In reality, the bee would have been a familiar symbol to the Istanbul designer who featured it on his textiles, for Istanbul Technical University, the world’s third oldest technical university, which opened in 1773 (roughly 100 years after Zevi’s death), chose the bee as its symbolic mascot. 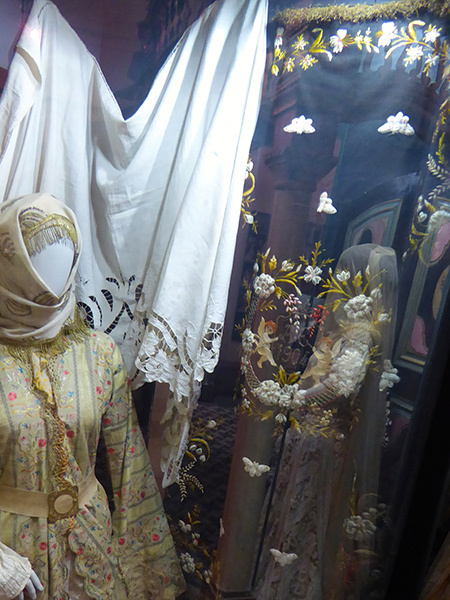 However, the relationship between bees and the Jewish people is far more ancient than the bee-design textile in Istanbul’s Jewish museum, or even that of Zevi’s time. ‘Bee’ in Hebrew is דְּבוֹרִים, devorah/deborah, and Judges 5 contains one of the oldest passages in the Bible and, some feel, the earliest example of Hebrew poetry: the Song of Deborah, or the Song of the Bee. 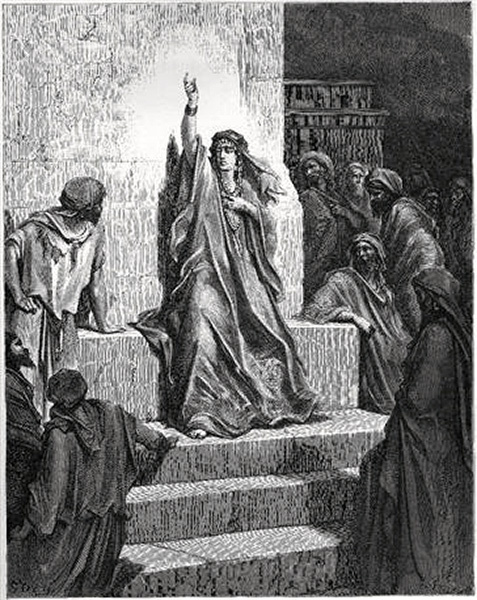 Deborah represented stability and was a prophetess and warrior princess – she was the only female judge of pre-monarchic Israel in the entire Old Testament. Surely this Amazonian archetype is also reminiscent of the Queen Bee herself? But the warrior priestess Deborah – the bee – is not the only Deborah in the Jewish Torah. Deborah, the nurse of Rebecca, is referenced in the Book of Genesis and, of course, Rebecca is the wife of Isaac, the mother of Jacob and Esau, and the sister of Laban, who lived in Harran, the ancient settlement complex with the beehive huts. In fact, local legend states that Rebecca (and thus Deborah) spent a good portion of her life in the vicinity of Harran. Of further interest is the fact that Deborah is a nurse who raises an important young child. The nurse archetype is reminiscent of the nymphs, known as bee goddesses, who raised the baby Zeus in a cave of bees on Crete and fed him honey. Might the two traditions be related? We will examine how Crete plays an important role in our story shortly. In Jewish tradition, that which comes from something which is not kosher is also not kosher. The bee, however, appears to be an exception, for while it is not kosher, its honey is. This notion is reinforced by the fact that the first beehives in the ancient near-east were discovered in Israel, in the Jordan Valley, at an important Bronze Age site known as Tel Rehov. Here, the recent discovery of a 3,000-year-old apiary supports ancient literary references to honey, such as in the Hebrew Bible, which refers to ‘the land of milk and honey’. The orderly rows of beehives at Tel Rehov were discovered alongside a four-horned altar, with figures of naked fertility goddesses and an elaborately painted chalice, thus underlining the importance of beekeeping, and the significance of ritual in the context of the production of honey. 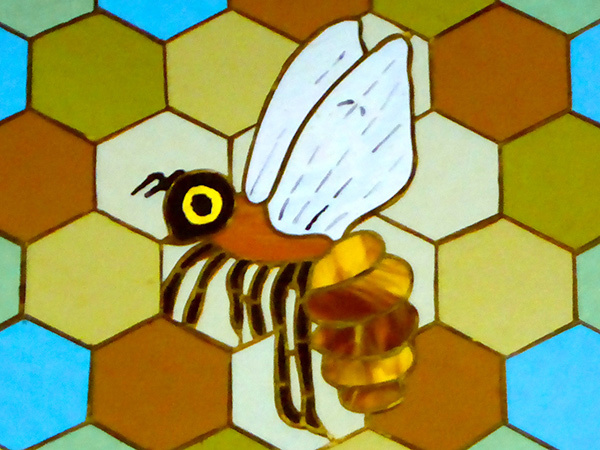 The references to bees in ancient Judaic literature are intriguing, and varied. 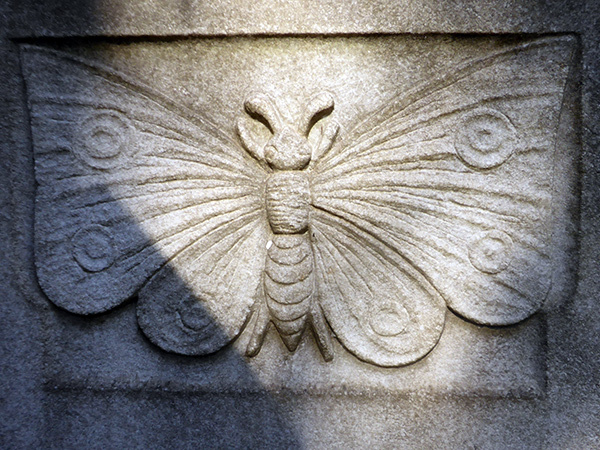 For instance, Jesus was known as an Aetherial Bee, and bees appeared on statues of the Goddess Artemis, whose priests were called Essenes and were known as King Bees. Further, the Bronze Age name of Ephesus, which featured the Temple of Artemis (one of the seven wonders of the ancient world), meant ‘bee’, and bees were featured on coins from the era. Luke 24:41-43 confirms that the first food eaten by Christ after his resurrection was a honeycomb. In fact, honey is mentioned 61 times in the King James Bible. So, yes, I’d tick the box to say that bees and honey were important to the early Jewish communities. As I gazed on the butterbee images in Bülbülderesi cemetery, I was reminded of a synergistic relationship between bees and butterflies that had fascinated me for some time: DNA analysis has revealed that the people of Çatalhöyük, Anatolia – arguably the most famous, important and ancient of Neolithic communities yet discovered – migrated to Crete and evolved into the Minoan civilisation. This is amazing for several reasons, and in particular because the archeologists who excavated Çatalhöyük are on record as stating that the double axes they unearthed resembled butterflies. Similarly, on Crete, at Knossos, the centre of the ancient Minoan civilisation, many of the double axes unambiguously resemble bees. The significance deepens when we realise that Knossos is the ‘Palace of the Double Axe’, and this is where Cretan King Minos’s son drowned in a vat of honey (one of the large pithoi jars so common in that period). I have argued (reference my lectures) that Knossos was not the Palace of the Double Axe, but rather the Palace of the Bee. 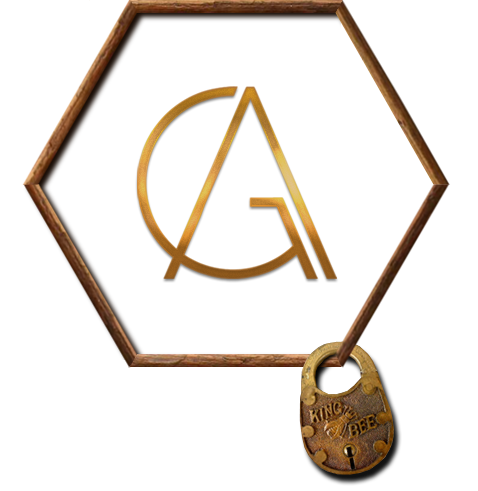 Additionally, my analysis of the Malia (Crete) Bronze Age bee pendant (which features two bees, pollen and a poppy cage), as well as the legend of Icarus (who flew too close to the sun on Crete and fell to his death when his beeswax wings melted – reminiscent of a drone bee’s flight to mate with the queen, who has flown as close to the sun as possible, after which he dies) and the spectacular Minoan signets (which unambiguously illustrate hives of honey with priestesses in a shamanic state of dance and/or ecstasy), show that bees were not only symbolically important, they were a vital part of the Minoan economy. My research has led me to the conclusion that the Minoans, whose wealth has never been satisfactorily accounted for, were growing poppies for the purpose of producing opium and heroin. Further, it appears that they were mixing the opium/heroin concoction with honey, which was hallucinogenic, in and around the Aegean at that time. As sensational as it sounds, the Minoans may have been the drug lords of the Aegean, and thus honey was an integral part of their ecosystem, culture and mythology. 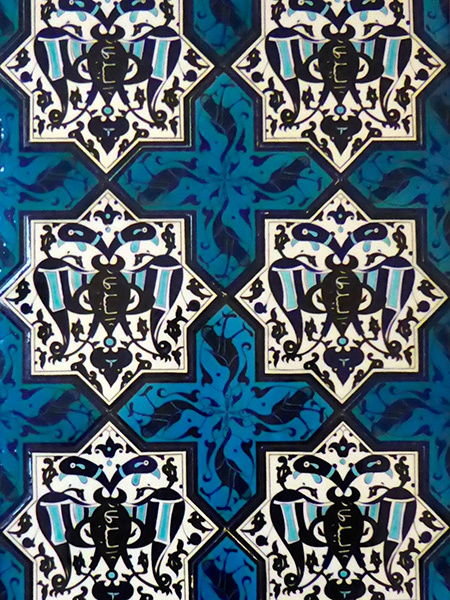 And still the true purpose of the butterbee images was not clear to me ; it was further muddled by my recollection of a series of exquisite thirteenth-century tiles, the product of the Seljuk Turks in Konya, that I had seen the week before in the Istanbul Military Museum. Here, the butterbee images were referred to as ‘double-headed eagles’. I was really not sure what to think. 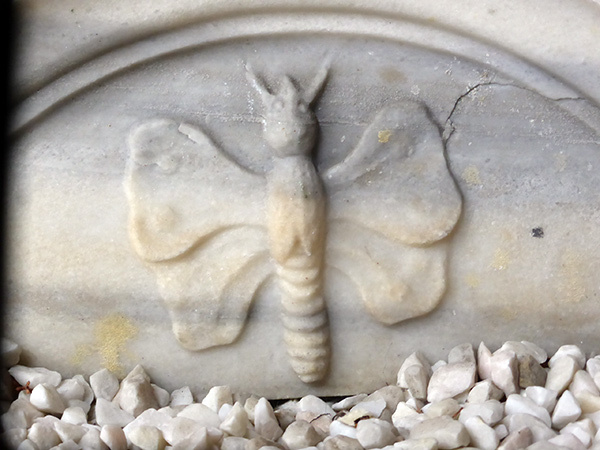 However, after an exhaustive inspection of the Bülbülderesi Cemetery, my Turkish friend and I departed, pleased that we had found the tombstones of the Dömne, but uncertain that we were any closer to confirming whether the evocative images depicted an intentional, symbolic fusion of butterfly and bee features. What I was sure of, though, was what that these unique butterbee images were a perfect symbol to commemorate humankind’s transformation and regeneration to the next realm, where many traditions suggest that the repository of ancient wisdom is maintained – the state we know as death, a process or transition, which could very well be the genesis of our rebirth. Metamorphosis, indeed.